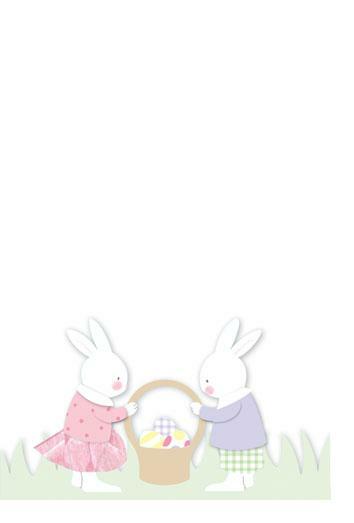 Cute and adorable invitation features two diecut little bunnies holding a basket full of decorated eggs. 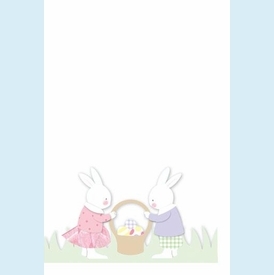 Imprintable white card slips behind the adorably dressed diecut bunnies. CLOSEOUT...Only 6 sets left! SIZE DIMENSIONS: ~8" x 5.5"